Betsy West and Julie Cohen shared their secrets during the IDA screening series. As one would imagine, gaining access to a sitting Supreme Court Justice is no easy feat. But filmmakers Betsy West and Julie Cohen, who had both interviewed the Notorious RBG before for other projects, were up to the challenge. Their film, “RBG,” was made with full cooperation from Ginsburg and her family. Instead, they spent a year strategizing until Ginsburg agreed to the project. “It certainly wasn’t easy and it didn’t happen overnight,” they said, but they made it work. In order to complete the long list of interviews they needed to conduct, they divided and conquered. “Once we could breathe a sigh of relief that we had filmed the things we wanted to film…that was a joy,” said West. 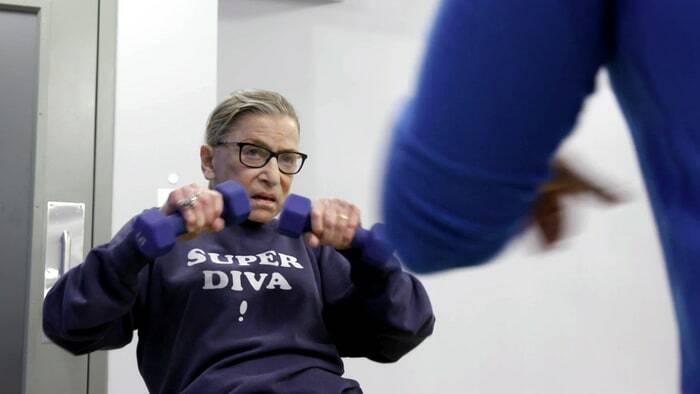 But the documentary is also important, the filmmakers said, because it can educate viewers on just how much Ginsburg has done for women in the U.S. “The extent to which Justice Ginsburg’s career [made an impact both in] what she achieved for herself and what she pushed to get for other women…can’t be understated,” said Cohen. It also acts as “a way in for people” to learn about the importance of the Supreme Court — which, as the past six months in American politics have shown, also can’t be overstated. Though the filmmakers began working on “RBG” in 2015, it took on a new level of importance for them after Donald Trump’s election. Some of Ginsburg’s fellow Supreme Court justices have seen the film — West and Cohen said they know Justices Breyer and Sotomayor have — and their reaction has seemingly been positive. “In terms of their reaction to her popularity…her answer to that is her colleagues have been judiciously silent on the matter,” Cohen said.